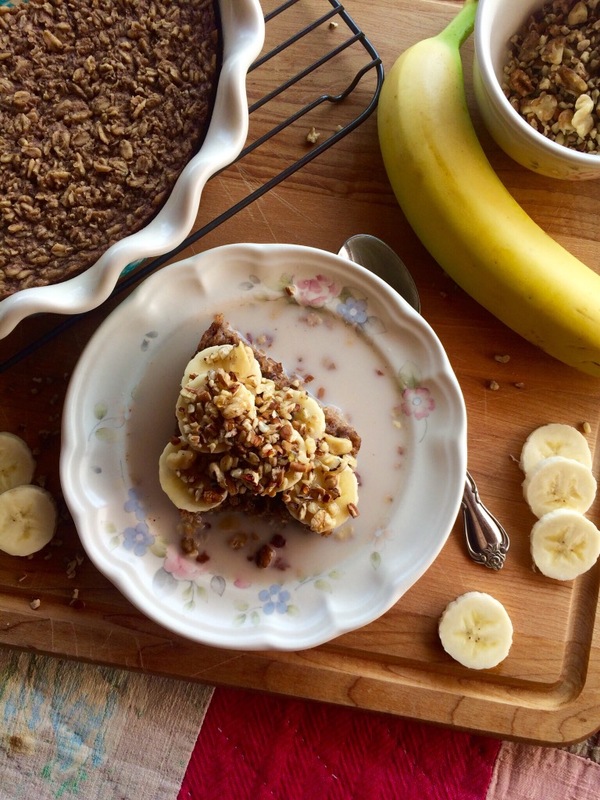 Baked oatmeal is so easy to put together for a do ahead breakfast. Mix it up the night before, and place in the fridge overnight. In the morning, while your getting ready, just pop it in the oven and bake for 20 minutes. Then refrigerate the leftovers, and the next morning, warm it up in the microwave….it’s that easy. Because it’s breakfast, I wanted to keep this oatmeal as healthy as possible. I cut the sugar and made it dairy-free. You can serve this oatmeal as is, or like me….with almond milk, sliced banana, toasted nuts and honey drizzle. This baked oatmeal will make you excited to wake up. 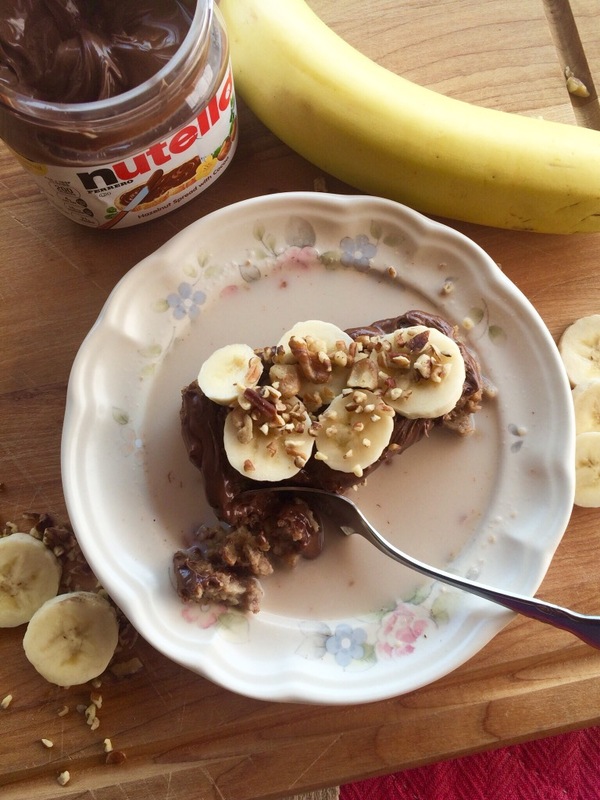 It’s also amazing with almond milk, sliced banana, toasted pecans, and…..Nutella. 1)Make-Ahead Directions: Allow oatmeal to sit out on the counter for 30 minutes before baking. Bake at 350 degrees for 25 minutes. Preheat oven to 350 degrees. Spray a 9-inch pie plate with non-stick cooking spray. Mix together oats, brown sugar, baking powder, cinnamon, and salt in a medium size bowl. Add in almond milk, bananas, egg, melted coconut oil, and vanilla. Pour into prepare pie plate and bake in preheated oven for 25 minutes. Let cool for 5 minutes before serving. Top with desired topping, the possibility are endless.